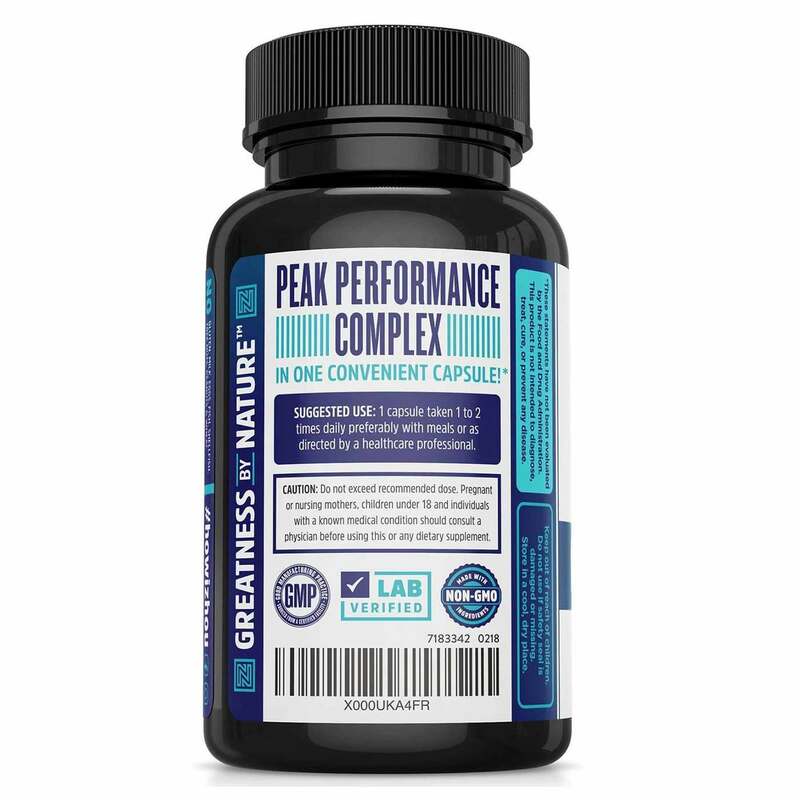 Scientifically-Formulated: There was great care in combining just the right amount of each ingredient into a premium formula designed to support memory, focus and clarity. 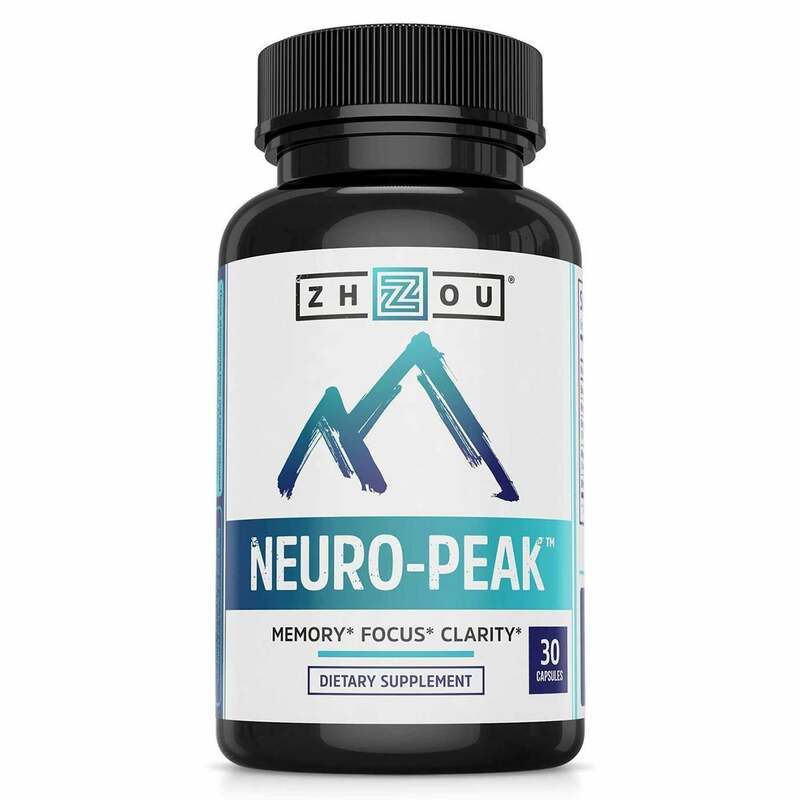 Memory, Focus & Clarity Formula: Neuro-Peak is a “Nootropic”, meaning that it was formulated to help support memory and cognition. The unique combination in this blend is crafted to help support oxygen and circulation in the brain, brain cells and neurons. 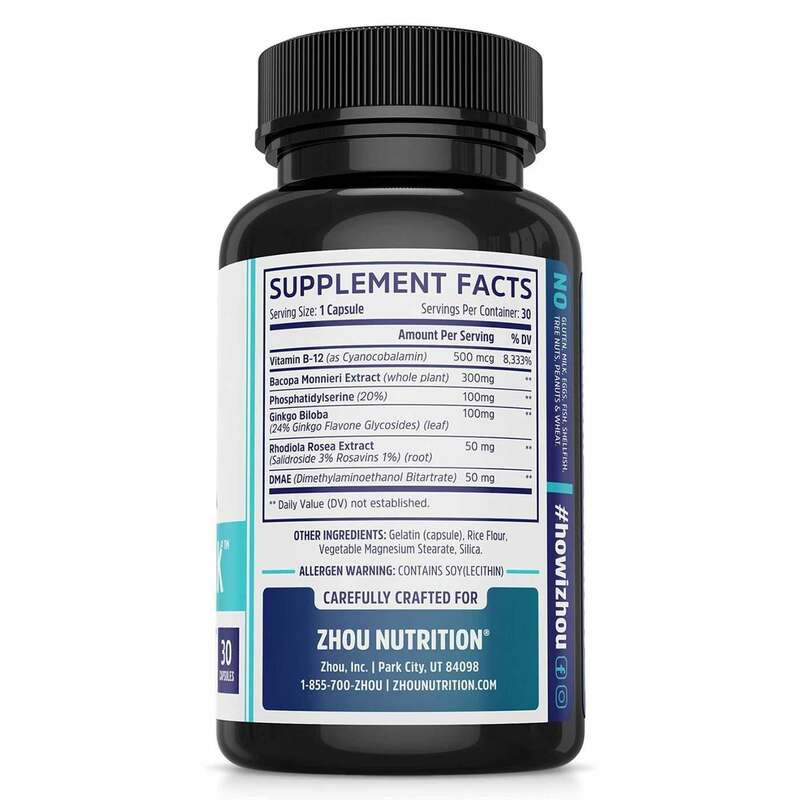 Stress & Mood Support: Rhodiola has been used for centuries to support performance. Rhodiola is designed to work with the other premium ingredients in Neuro-Peak to help re-energize your mind, helping you stay focused on your most important tasks. Convenient Once-Per-Day Dose: Forget cluttering your cabinets and countertops with several bottles. 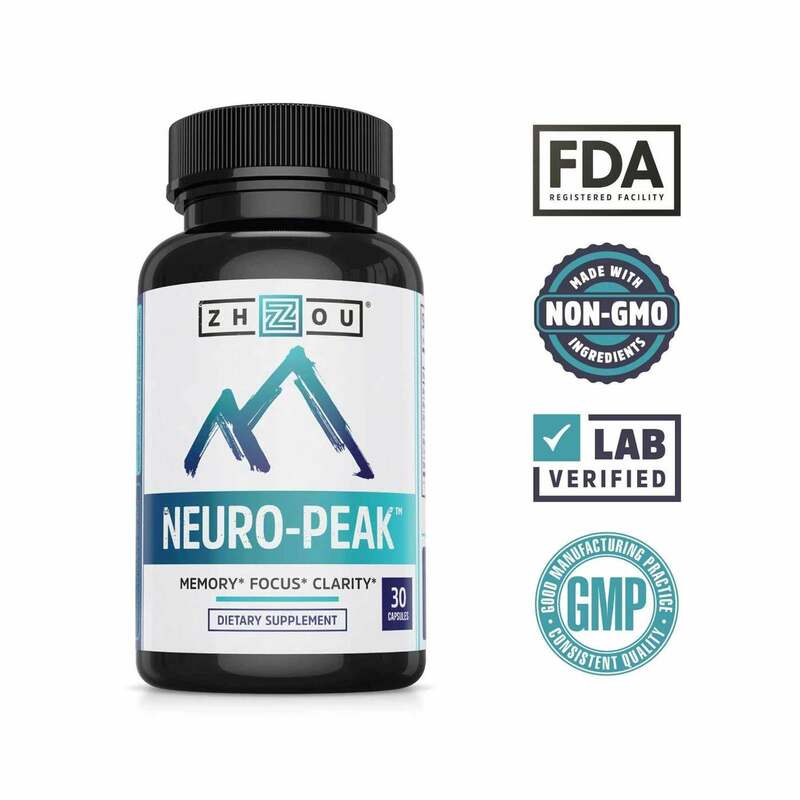 Zhou Nutrition’s Neuro-Peak offers the benefits of several ' brain pills ' in a single, once-daily supplement. It’s about time someone combined these time-tested ingredients into one capsule. Notes: Free of Gluten, milk, fish, egg, shellfish, tree nuts, peanuts & wheat. Other Ingredients: Gelatin (capsule), rice flour, vegetable magnesium stearate, silica. Recommended Use: 1 Capsule taken 1 to 2 times daily preferably with meals or as directed by a healthcare professional.